After the massive Pokemon Sun and Moon data mine leak last year, players have been anticipating the release of one popular discovery. One of the many creatures hidden in the data was a Pikachu wearing Ash Ketchum's (main character of the anime) iconic hat. No information on this stylish character was available until the recent announcement by the Japanese publication CoroCoro. The Japanese gaming magazine revealed that players who pre order tickets to the upcoming Pokemon movie will receive a code for the new twist on the iconic electric mouse. 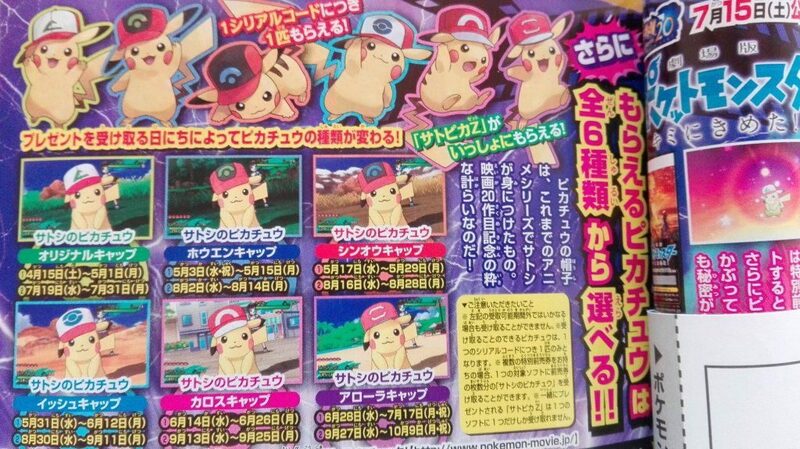 There are 6 in total and a different Pikachu will be given out every couple of weeks. Each wears a hat from the various seasons of the anime, starting with the first (and best) Johto region, ending with the hat from Sun and Moon. 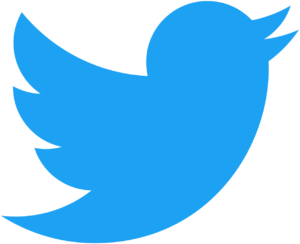 Recently, the popular character showed off its love of hats in the recent cell phone app, Pokemon Go. Niantic celebrated Pokemon's 20th anniversary by giving wild Pikachu a festive party hat. The same thing was done over Christmas of 2016 but instead of a party hat it was given a Santa hat. Players will also be happy to find out that along with the Pokemon, they will also receive a new Z-Crystal that works in conjunction with the pocket monster. 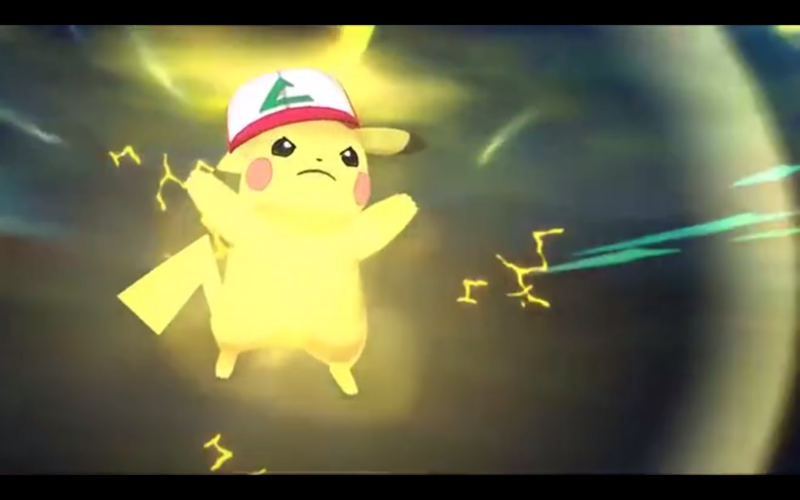 The crystal is Pikashumium and it gives access to the move 10,000,000 Volt Thunderbolt, a buffed up version of one of the most iconic moves in the game. This news only has one downside, there is no word on a western release for the hat wearing Pokemon or the movie it's associated with. The movie in question is called, "I Choose You" and will be the 20th movie in the Pokemon Feature Film Franchise. It will retell the story of the anime's first few episodes. The movie will be hitting Japanese theaters on July 15th. If you want a slap of nostalgia, watch the trailer for "I Choose You" below and don't forget to keep checking back with Gigamax Games for all the latest in industry news and updates! Right off the bat, hype was real following the official announcement of Destiny 2. Bungie added to the excitement with a cinematic trailer, but doesn’t show off any new gameplay or details. It did however have a spin of humor which is new to the series. Let’s dive right into what we do know and what can be pieced together from the vague but humorous trailer. Featuring Cayde-6 voiced by Nathan Fillion, the video looks beautiful, full of action and explosions. Sitting at a bar enjoying a drink, Cayde-6 is telling a war story but in a much different tone from anything seen before from the Destiny franchise. Bungie faced harsh criticism from Destiny’s overly serious atmosphere and convoluted plot. The dramatic turn when it comes to humor leads to the idea that Bungie could revisit their story to deliver a more enjoyable experience for those looking for a well rounded game. 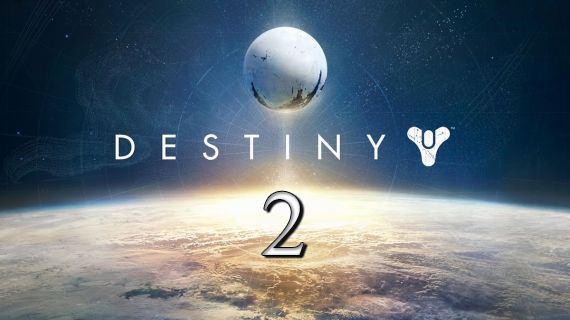 Destiny 2 already had its critics after the world found out that characters will not be carried over from the first game. This is a huge hit for committed Destiny fans around the globe. When Destiny was first released it was implied that this would be a revolution in console gaming, allowing players to grow with their character. Bungie touted that this would be a “ten year game”, instead they came up about seven years short. Disclaimer* A jaded Destiny player is writing this. No official release date is on the table as of now. A leaked poster is leading the community to believe Destiny 2 could drop on September 8th. It seems like this could ring true because in 2014, Destiny released on September 9th. 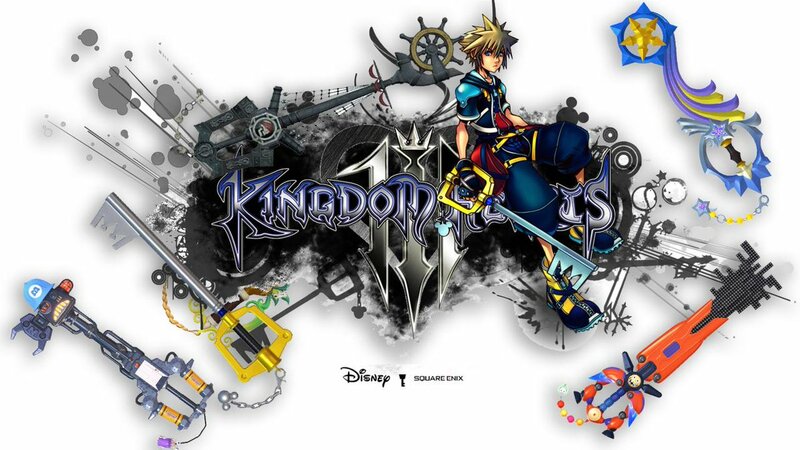 Be sure to check back with Gigamax Games for more information as it becomes available. It won’t be long before more details surrounding Destiny 2 will be available as a worldwide reveal trailer is set to release March 30th at 1pm EST. Mass Effect Andromeda brings players to the stars, following an incredible story and an imaginative adventure. This latest iteration of the saga takes place in the unexplored Andromeda galaxy and those who take the leap into the great unknown are sure to find themselves coming back for more. Faced with a lot of backlash focused on glitchy animations, they overshadow the beauty of the game as a whole. Sure there are some wacky glitches and some weird animation issues, but these are few and far between. In the recent playthrough, the Gigamax team offers a first look into the game and what players can expect to see. From incredible views to exhilarating action, this game has it all. The story is immersive and the voice acting is superb. Of course the glitches do take a bit away from the game, but not enough to impact how much it really has to offer. Be sure to keep an eye out for the Review. It will offer a wider overview of the world and a look at what Gigs and Mack thought about this thrilling game as they make their way through the story. This massive, open ‘world’ or should we say ‘universe’ is expected to bring with it plenty of content. 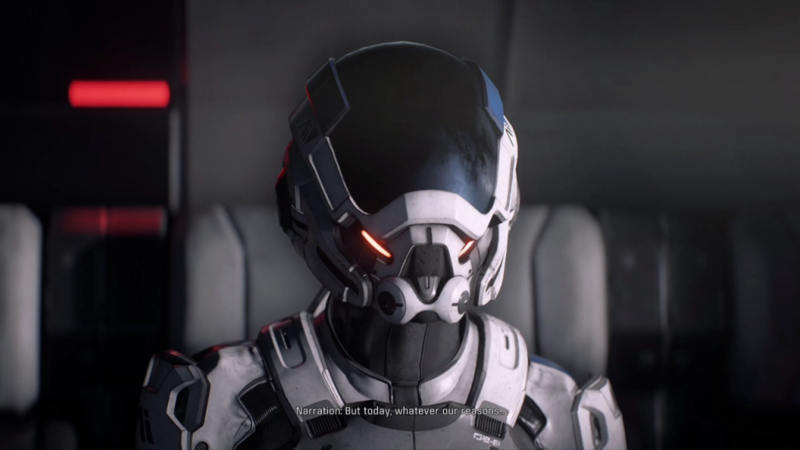 For your Mass Effect Fix, the playlist offers a small preview. Below you can find the Gigamax Mass Effect Playlist. Let’s Plays, Live Streams and crazy moments we come across as the crew makes their way through this incredible universe. Be sure to check back soon for more Mass Effect! It’s been 2 years since the launch of Nintendo’s popular new IP, Splatoon, and this series is ready to make a name for itself on the Switch. The game challenged the traditional multiplayer shooter by not focusing on kills, instead the winner was chosen by a whomever had the most paint splattered around the map. Nintendo took a risk by forgoing the mainstream style of combat and it paid off in a big way. 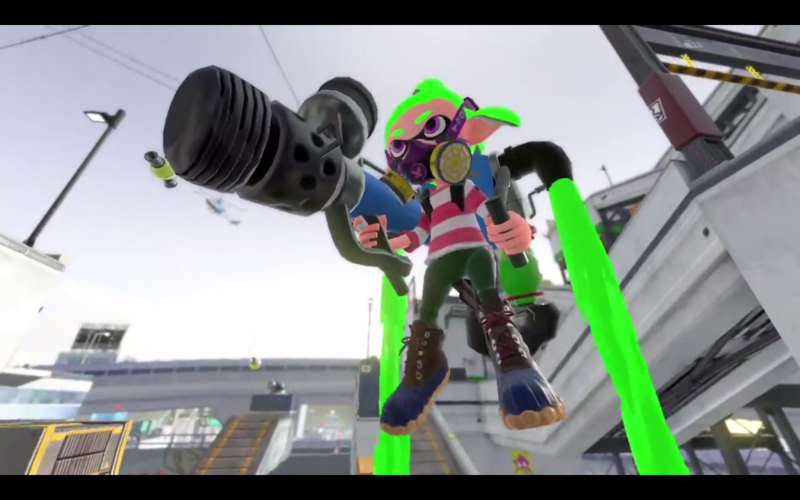 Splatoon was one of the most successful games on the Wii U and the sequel will seemingly have the same effect. Splatoon 2 is adopting the philosophy “If it’s not broken, don’t fix it,” and that certainly isn’t a bad thing. The new entry is adding a whole lot that first definitely should’ve had. New weapons, maps, customization options, local multiplayer and a better single player have this game looking jam packed with content right out of the gate. Nintendo will also be releasing a string of free content updates and patches as time goes on just like they did the first time around. While Nintendo hasn’t offered an official release date for the game but the developer is aiming for a “Summer 2017” release date. Also pointing toward a speedy release is the Global Test Fire multiplayer beta that is going on from March 24th to March 26th at specific times throughout the world. If players would like to try one of the new maps and some of the new guns, they will need to log into the demo during the designated periods of time. While this may seem like a weird system, it is still an opportune time to try the new dual wield paint pistols and new ultimate abilities that look very flashy. If you would like to participate the Test Fire times are below. Splatoon 2 looks like an awesome new entry for the series and will pair well with the Switch’s portable nature. The first game was a blast and the Global Test Fire is certain to build plenty of hype for the upcoming release. Gigamax will have more details on this colorful shooter as they become available so make sure to keep checking back with this article for more info as the release date approaches. Diablo 3 just dropped a major update and there are some big changes coming to both console and PC. Those waiting anxiously for the Diablo 3 Patch that includes the Necromancer.. Sorry, this patch isn’t for you. 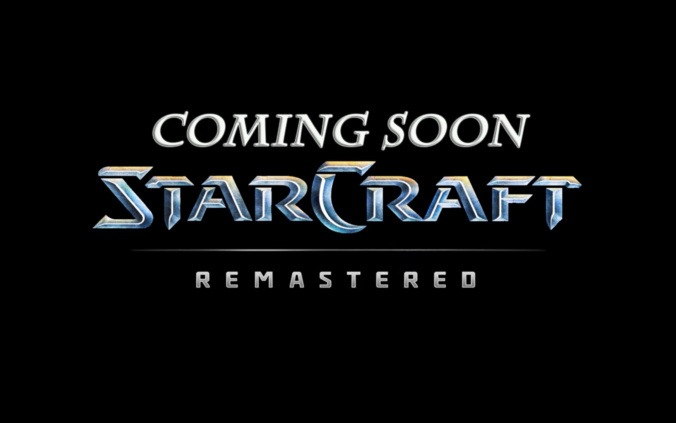 However, there’s still room to be excited as Blizzard pulled the carpet out from underneath the Diablo community. The first major change will be the Armory feature which was first announced at BlizzCon last year. This new features lets players store up to five different skill and armor builds for each character. This really has the potential to open up the game. 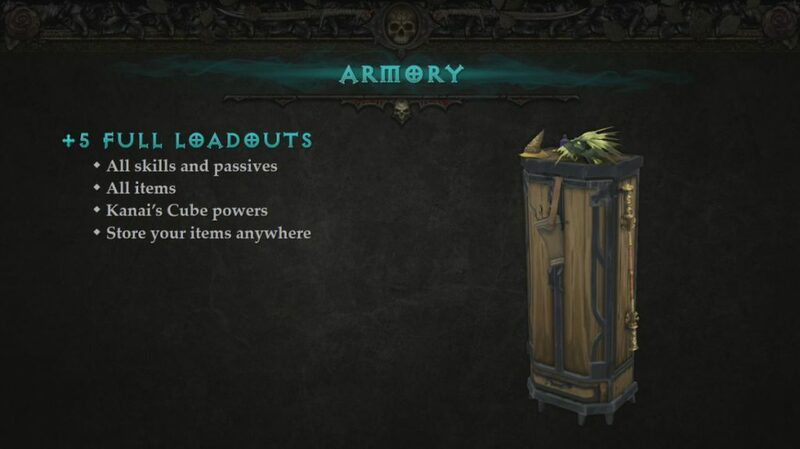 Diablo 3 has a unique feature when compared with the previous versions, a character doesn’t have to commit to a skill set. This means players can now seamlessly switch between skill sets and match it with armor sets that will contribute to those skills. It seems minor, but this can really open up the game and entice players to experiment with new builds. Another exciting addition that’ll clear up some bag space is the change that crafting materials (Arcane Dust or Forgotten Souls) will not fill up your inventory. These items will now be moved to a separate area. Materials that you are already holding will automatically be moved. This will free up some space to gather all the loot your heart desires. A little floating message will pop up above the character's head which will keep you up to date on how many you have. Serious players now have a new item to grind for in 2.5.0. 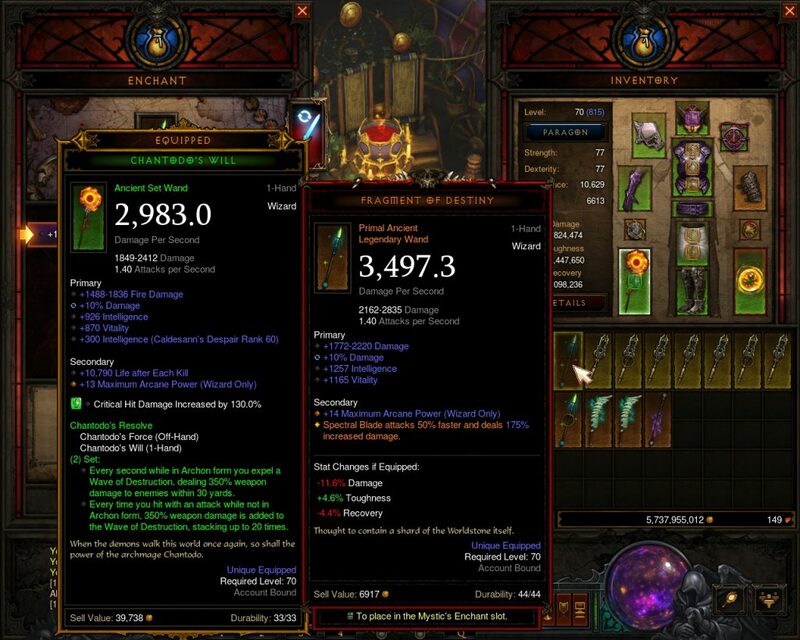 Primal Ancients are extremely rare items, guaranteed to have perfect Ancient-level stats and the maximum amount of sockets possible. Primal Ancients will only be available after a player reaches Greater Rift 70 solo with one of the characters on their account. After meeting the prerequisite, any of the items you find will be for the class you're playing with when it drops. This also means something else for the community. It gives players a reason to grind out and improve their character to run these Rifts solo, rather than just leaching experience and items off of Greater Rifts that are way above their ability. The updates don’t stop there. Adventure mode is next on the chopping block as they reduced the chance certain tile sets will appear in Greater Rifts. Furthermore, the highest solo Greater Rift completion will now determine which torment levels will be available, instead of Paragon level. Also, Bonus Acts are no longer a part of the game. Completing any Act will net the same rewards as the Bonus Acts. A fun little addition is the game now allows players to assign Paragon points 100 at a time. All people have to do is hold the Ctrl key on PC. Those on console will be introduced to Seasons. The first will start on March 31st and will be essentially the same as the PC version, where you will start a fresh character who can’t access the bank. This is a pretty serious Diablo 3 Patch. But, we’re still waiting for that Necromancer class to drop. 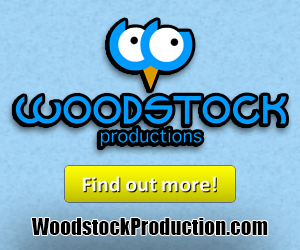 Be sure to check back on Gigamax Games for the latest coverage of Diablo 3 and more! Uncharted 4: A Thief's End was a fantastic entry to this classic series, unfortunately the developer was clear that it was the last game to contain the protagonist Nathan Drake. Many believed that this meant the end for the Uncharted series as a whole, but now Naughty Dog is hyping up fans for brand new story DLC named Uncharted: The Lost Legacy. 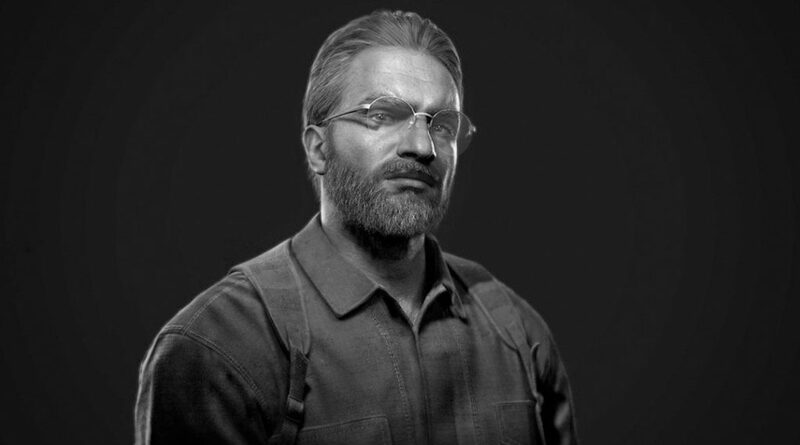 The upcoming DLC is centered around some familiar faces and it should be exciting. 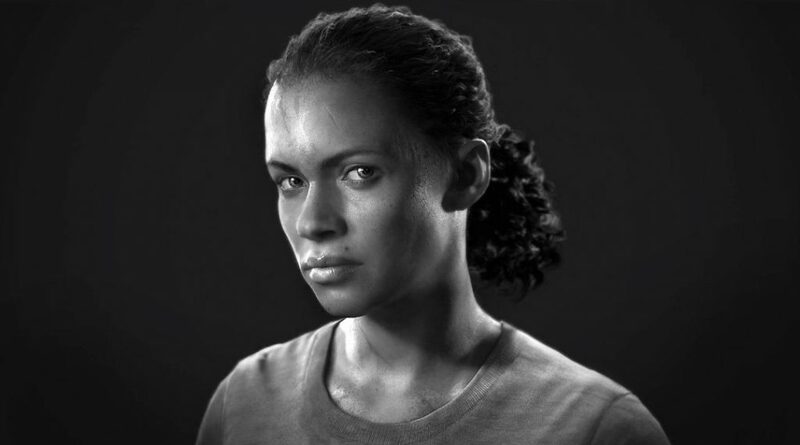 One being the bad guys turned good, Chole Frazer and the antagonist from the base game, Nadine Ross make an appearance. These two characters are the focal point of the new screenshots that have been released this weekend. On Saturday, the creative director for the game, Shaun Escayg, tweeted out a screenshot and two pieces of character art, which can be found throughout this article. The screenshot is of Chole, whom players will be taking control of is holding what appears to be the ancient Indian artifact she is tasked with keeping away from the war profiteer Asav (pictured below). To help complete this task, Chole enlists the aid of Nadine making clever use of her mercenary allies. 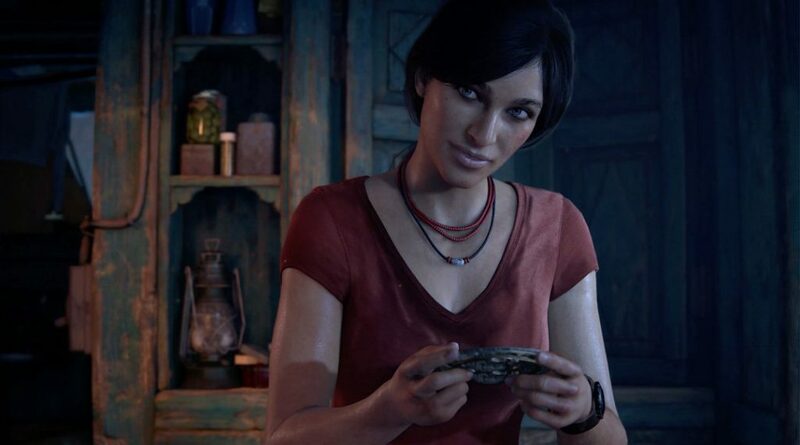 The Lost Legacy takes place after the events of A Thief's End and will conclude Naughty Dogs work on the series for the time being. 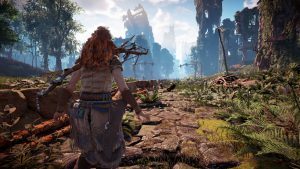 The DLC was only recently announced via an 8 minute video at Playstation Experience 2016 and many details are still being kept under lock and key until the studio is ready to discuss them further. Hopefully we'll be able to get our hands on this DLC soon, but for the time being we can only sit and wait for more content to be released. 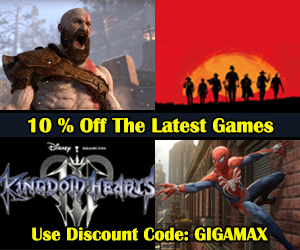 Don't forget to stop by Gigamax for plenty of Let's Play videos when the game becomes available. 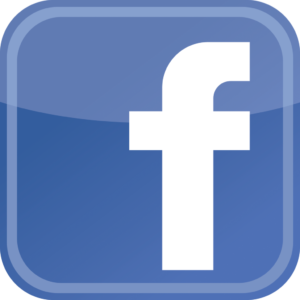 Remember to keep checking back with Gigamax Games for all the latest in gaming news and reviews! Bananas, Turtle Shells and Mushrooms... OH MY! 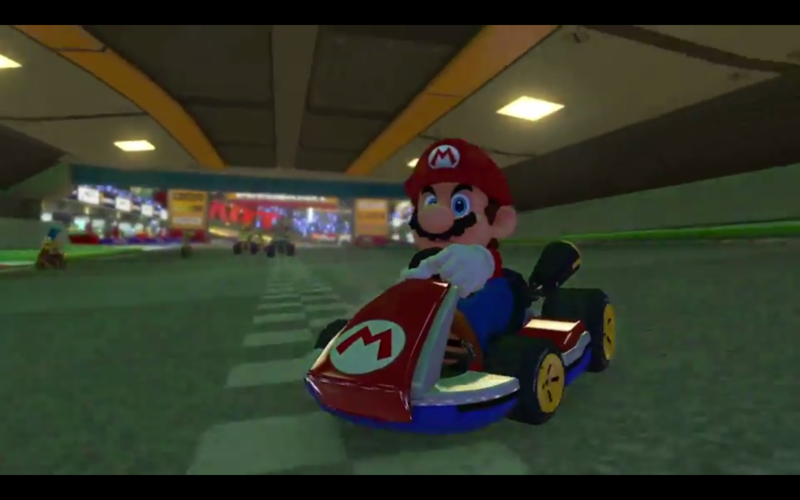 Fans of the Mario Kart series were upset to find that when the eighth entry in the series was released, it lacked the traditional battle mode. Nintendo included a highly watered down version of the balloon popping challenge instead. The new game mode have players driving around the standard tracks instead of intelligently designed arenas. This led to one of the most stagnant battle modes in all of the Mario Kart games. 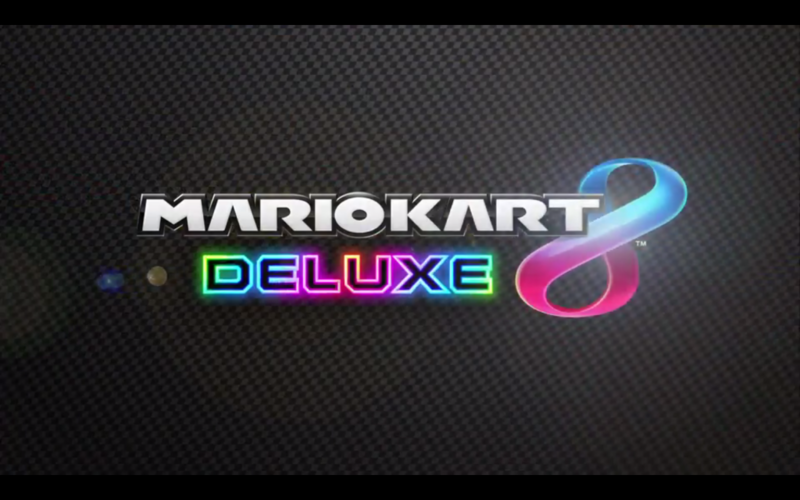 Mario Kart 8 Deluxe is mostly a copy and paste of the original 2014 release with a few minor differences sprinkled throughout. This time around, players will get to race as Bowser Jr. and the Inklings from Splatoon. Another major change is an overhaul to the lackluster battle mode which will surely please long time fans. Nintendo is rectifying their original mistake by restoring the beloved mode to its former glory. Arenas designed with the Switch in mind are being added as well as returning maps from previous Mario Kart games. One of the most popular veteran maps, Battle Course 1, from Super Mario Kart on the SNES is also making an appearance. This time around Nintendo added guard rails and the ability to use the map's multiple levels to dodge shells and other projectiles. While revisiting the classics is a good way to pass the time, it's a lot more exciting to see a game designed for the new console. Sweet Sweet Kingdom is a fresh take on the Mario Kart 8 map Sweet Sweet Canyon. This course uses a intricate system of turns and ramps that are great for setting up sneak attacks, giving players an upper hand over opponents. Next up is Dragon Palace, based on the DLC course Dragon Driftway. The course offers a center courtyard surrounded by two giant dragon statues and a two tier pagoda for fans to launch bananas and shells at each other. 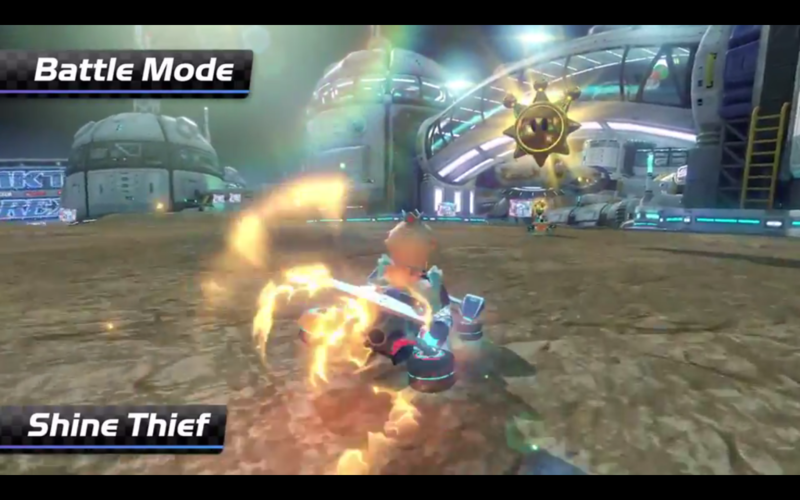 The third map is the Battle Stadium track, created around the original MK8 battle mode map design. The course plays like a circuit but keeps combatants closer together, forcing them through tunnels, anti-grav areas and over ramps. 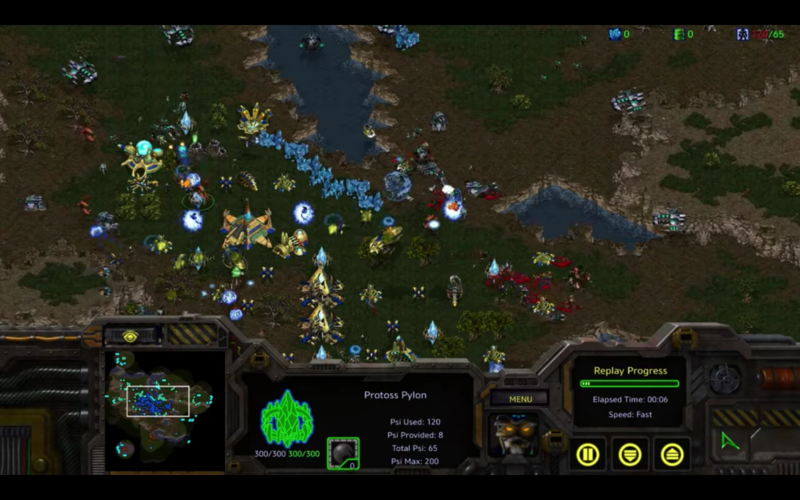 Lastly there's the Lunar Colony battle map which shakes up the typical battle style. Since this course is located in space, players will constantly be in an anti-grav state. This leads to higher and farther jumps, players will utilize the ability to launch themselves out of moon craters located around the course. Nintendo is also adding maps from a few other franchises this time around. 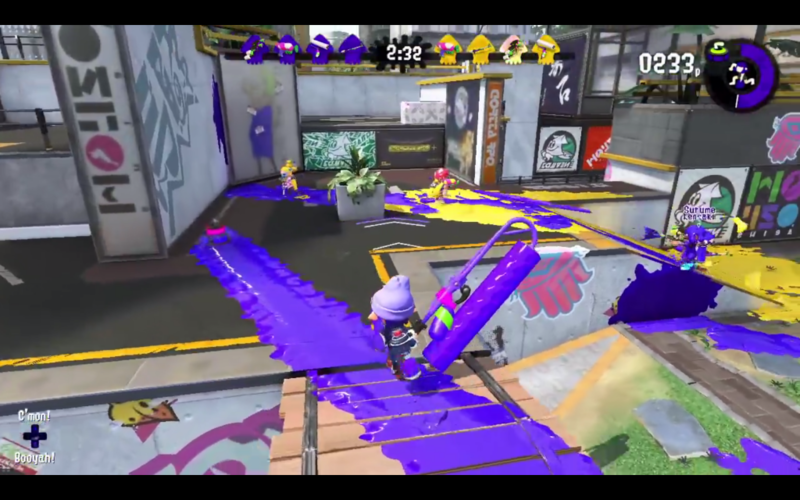 One of the coolest additions is a recreation of Splatoon's Urchin Underpass map. Instead of covering the map in paint with wacky guns, this time players will launch wacky items from karts at each other. When Can We Play Mario Kart? Players will be able to start fighting each other on April 28th, 2017 and we here at Gigamax are pumped to jump back into this insane racing game. 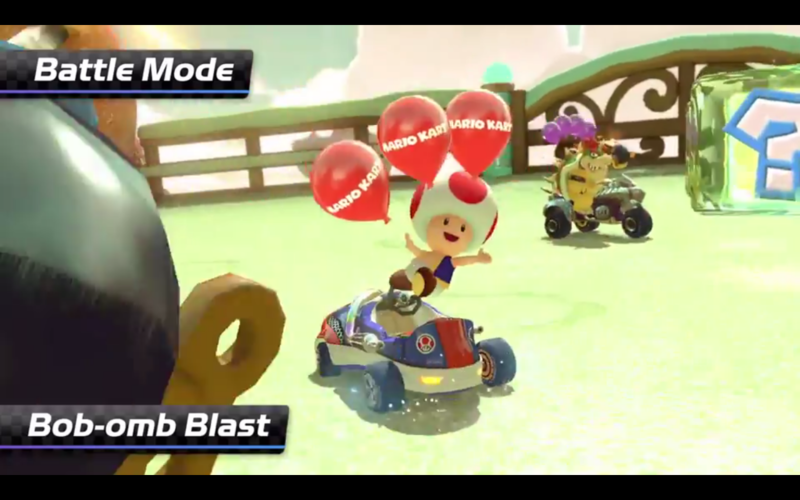 We loved it back in 2014 and the changes Nintendo's making has us excited to hop back in and pop as many balloons as possible!